This past Monday, I launched a crowdsource funding campaign at GoFundMe to raise the money to finally, FINALLY, pay off the debt I’ve accumulated from the publication of Perceval’s Secret as an e-book. 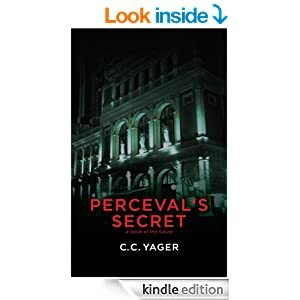 As part of this campaign, I’m also raising money to publish Perceval’s Secret as a paperback, and to pay the fee for a review for it by Kirkus Reviews. My regular readers may remember that in the fall of 2013 I launched a crowdsource funding campaign at Kickstarter where their policy is not to pay out any of the funds raised unless you make your goal. I raised over $3000 but did not make my goal and therefore did not receive any of the money I’d raised. I published Perceval’s Secret in March 2014 and have received wonderful reviews at Amazon since. Sales have not been so wonderful. But the debt never just went away, of course. I’ve been paying it off, a little every month, and as a result have depleted my bank account. I should have launched this campaign a long time ago, but it’s painful and embarrassing to ask for financial help. I’ll promote this fundraising project for as long as it takes to raise at least what I need to pay off the debt. Please help me by promoting it to your friends and family as well. There’s also other ideas to help, if you don’t want to donate money, at the project page. I’ll also be setting up a promotion on Facebook for this fundraising effort. Go to The Perceval Novels public page for the announcement! And what will I be doing while this fundraising project is running? I have a couple urgent writing projects, nonfiction, that I’ll be completing as I continue to work at my part-time job and search for a fulltime job. Fiction writing has landed on the back burner for the moment since dealing with paying for basic living expenses has taken priority. Life has once again intervened to force me to set aside my fiction for a while. If, after perusing the GoFundMe project page for Taking Perceval to the Next Level you find it in your heart to help out with a donation, every little bit will help! Yes, it’s come to this. I hate asking for any kind of help, but especially for help with paying bills, anything with money involved. Unfortunately, I have not been able to work since the end of January as I’ve struggled with Interstitial Lung Disease which makes me short of breath. My insurance covers 90% right now, until I fulfill my out-of-pocket costs. I have also co-pays. There have been unexpected expenses such as renting the oxygen equipment, buying a nebulizer, new prescriptions, a shower stool, and an oximeter. I also have my regular bills. A Facebook friend started a crowdsource funding campaign at GoFundMe to raise money to help me pay my bills, transportation to doctor appointments, and any other medical expenses that come up. So far, $1545 has been raised, and I’ve been using it to pay the bills that have already come in. The goal is $5000. If you have not yet donated to this campaign “Cinda Yager Medical Expense Fund,” and you would like to help, just click on the link and donate. Anything you can do will be very, very much appreciated. I love writing. I am happiest writing. That’s the reason I’m writing this post instead of working on the orchestra mailing list to market Perceval’s Secret. Yes, I will get to the marketing tasks today, as well as my new freelance editing business (more on that in another post), but first I need to write. Yes, career. That’s been one of the changes. I’ve thought of my writing work as a job for years. I am disciplined and dedicated to it. But career? No, I’ve thought of it as a life or lifestyle. It is absolutely required to make a commitment to the endeavor, to dedicate myself to the writing and making it the best I can so that I can tell stories the best I can. Artists don’t have careers like a corporate manager. Artists’ careers are intertwined with their lives in ways that any corporate manager would have a hard time comprehending. Ten months ago, frustrated by not being able to find a job in the general workplace to pay my bills, I decided to pull out Perceval’s Secret and publish it myself. But I didn’t dive into it. I proceeded slowly and with careful thought. I wanted to publish an excellent novel as excellently and with as much class as I could. I met with a writer I know whose career has spanned about 30 years. He was generous in giving me his time, insights into publishing, and recommendations. He also encouraged me to move forward with self-publishing my novel simply because traditional publishing is increasingly difficult for new writers. Self-publishing increases the monetary return to the writer (no commissions to pay) but also increases the risk and the initial money paid up front. Based on this meeting and research I did into self-publishing, I established a business plan. I experienced failures (Kickstarter fundraising campaign) and successes in the last ten months. I expected to work hard and I have. I’ve been fortunate to work with honorable people who knew what they were doing and were dedicated to doing the best jobs they could for their customers. I’m quite pleased with the result. Perceval’s Secret is now published and on sale for readers to buy and enjoy. My job as a writer doesn’t end there, however. Nowadays, it’s really not possible to send a book out into the world and let it sink or swim. Nowadays, authors are expected to market, promote, and sell their books. Traditional publishers rarely have significant marketing budgets for books they publish with the exception of blockbuster authors (who may not need a concerted marketing effort). Since I self-published Perceval’s Secret, I’m the one who must come up with a marketing plan and the money to implement it. So here’s my Catch-22. I chose to self-publish in order to put the novel out into the world, sell it, and bring in some much needed income because I need the money. But a marketing campaign costs money. I needed to make another big decision or two. I am proceeding with my marketing campaign. For the moment, the bills will go on my credit card. However, I’m now thinking of launching another fundraising campaign at either Kickstarter or Indiegogo. I’m back in the advertising and marketing world I left 30 years ago — that’s a huge change. I’m going into debt for something I totally believe in: my novel and its worth. I’ve not done that before in my life. I don’t like debt at all. I’m working more on marketing and business tasks than I am writing — another big change and I hope not a permanent one. Not writing daily makes me crazy and cranky. But at this point, the way out of this is the way through it. Now I’ll go work on those mailing lists…..
UPDATE: My Kickstarter Project has now ended…. Just a quick update: my Kickstarter project ended at about 1 p.m. Central Time today $2656 short of its goal. As a result, I will not receive any of the money I raised. At Kickstarter, it’s all or nothing. How does this affect my e-publishing project for Perceval’s Secret? Well, not much. It means that I will go into debt in order to complete all the production tasks and get the novel as an e-book at e-bookstores online. If the novel sells well there, I may not need to do another fundraising campaign. If it doesn’t sell well, then I will do another fundraising campaign to pay the actual bills from the businesses I use to complete the project. I would like to say a BIG Thank you here to all the people who made backing pledges to the Kickstarter project. Your support has meant the world to me. Thank you! Kickstarter is not for the faint of heart. It’s scary. My project has been live for 21 days and every day I’ve worked on publicizing it, cajoling people into pledging their hard-earned money so that I can e-publish Perceval’s Secret and earn money to pay the bills (I hope). Only 9 days left! I need pledges totaling $4421 in order to make my goal and receive the money. That’s right. No partial funding at Kickstarter. It’s all or nothing. Right now raising that amount seems impossible. Sooooo, I’m asking my readers here to please visit my Kickstarter page and pledge an amount you’re comfortable committing. Choose your reward or no reward. Then encourage your friends and family to do the same. At the risk of sounding melodramatic, I really need your help. You wll have my undying gratitude and lots of thank-you hugs. What have I learned from this Kickstarter experience so far? Well, I do not enjoy fundraising, i.e. asking people for money. I do not do it lightly. It is the step before I go into debt at 18% APR. I am completely committed to publishing Perceval’s Secret as an e-book as soon as I can or by Jan. 1, 2014, whichever comes first. I plan to use the money to pay the editor, the book cover designer, the e-formatting company, the production expenses for the rewards, and finally, with what’s left over, marketing. Kickstarter takes a percentage of the total, as does Amazon for processing the payments. That’s it. I’ve also learned how easy it is with my computer to make a video. One of the rewards I’ve offered people who pledge is a DVD of me reading aloud the first chapter of Perceval’s Secret. I may read more, but we’ll see. I can do this all on my computer. I only need to buy the blank DVDs. As easy as it is to make a video, I really do not like seeing myself talking on film. I understand completely how some actors feel about seeing themselves in the movies they make, even though they’re playing characters. That was the hard part about making the video. I plan to make another video to post at my Kickstarter page early next week — sort of a peppier version of the original in which I was super serious. I’ve learned that fundraising is hard because people do not want to part with their money, and the fundraiser needs to convince the people that the project is worthwhile. It is a version of selling, actually. I’ve been on the other side until now, and I appreciate how the fundraisers I’ve encountered in the past have felt when I’ve politely said no. It’s tough. There’s also the fact that the economy is really not back to where it was prior to the Great Recession. I’m not asking people for thousands or millions of dollars. There are many levels of pledging, from $3 to $1500 and lots in between. Only 9 days left to October 21. At approximately 1:30 p.m. CST, the funding period will end. If I’ve made the goal, I will receive the money. If I don’t make the goal, I will receive nothing. For the publication of Perceval’s Secret as an e-book, for Evan Quinn to meet lots and lots of readers (I hope) and entertain them with his story, please go to my Kickstarter page and pledge!